Evanston Paper & Packaging – We have your paper and packaging! Call Today for a Competitive Quote! Your paper & packaging source! Our customers always comes first! 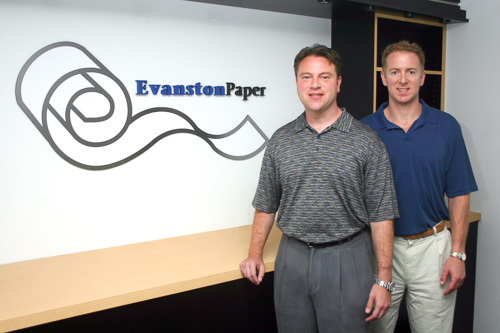 Long-term quality relationships are what Evanston Paper and Packaging Company is all about. We value our customers and vendors and strive to improve ourselves everyday. In our highly competitive industry we try to stand out by being forthright and always putting our customers first. At Evanston Paper and Packaging, we are committed to helping you meet your needs and your clients’ expectations by listening to your concerns and putting you—our customers—first. With prompt deliveries, competitive pricing, large inventories, and personalized attention, we provide unparalleled service that you’ll appreciate. How do we do it? Strong relationships with our suppliers give us incredible buying opportunities, which we forward on to you. We’re pleased to offer great deals on high quality side trims, excess paper, board and packaging supplies, and much more. Whatever you’re looking for, whether in small or large quantities, we'll work hard for you so you get exactly what you need. We offer a wide variety of paper and packaging products. We started Evanston Paper & Packaging Company in 1996 with a clear vision: to satisfy our customers with excellent pricing, the highest level of customer service available and outstanding sourcing for all of our customer’s paper, board and packaging supply needs. © Evanston Paper & Packaging Company, Inc.